Many exotic destinations can lay claim to be a paradise on earth, and the Seychelles archipelago is indisputably one of them making it the perfect choice for your luxury holiday, Seychelles Honeymoon or Destination Wedding. The overwhelming beauty of the Seychelles is such that even the most stunning photographs by the greatest snappers hardly do them justice. It truly is a mouth-watering destination on every level. 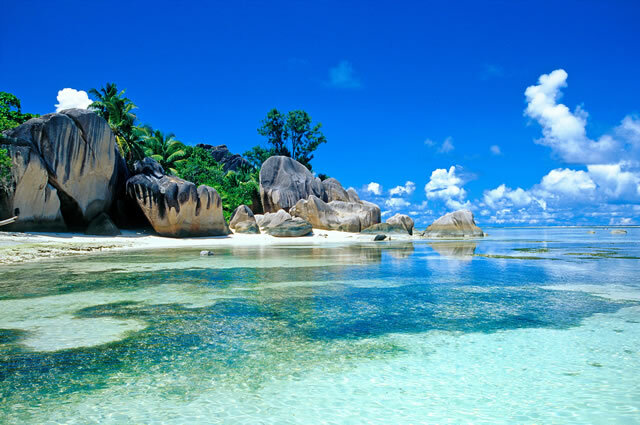 The 115 islands that constitute the Seychelles are spread over a vast area of the Indian Ocean. Mahé is the largest at 17 miles long and 5 miles wide and is where the delightful capital Victoria, is found. Mahé is perhaps the most known but Praslin, La Digue and many of the even smaller islands and islets all have their own array of riches that mark them essential to visit if the time is available. 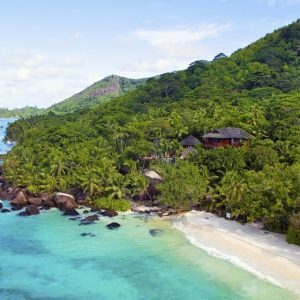 Lush and fertile in a hundred shades of green, trimmed with beaches of soft, white sand gently lapped by deep turquoise seas of crystal clear clarity, the Seychelles offer the ultimate in relaxing destinations. 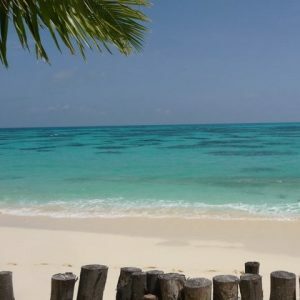 This tropical nirvana is surrounded by colourful coral reefs that team with spectacular marine life, where you have the opportunity to snorkel or dive in one of the world;s key diving sites with amazing underwater scenes full of colourful fish. Not to be missed too is the wildlife that dwells on the Seychelles’ islands, where many fascinating, rare, gorgeous animals and birds will hold you spellbound as you explore these enchanting islands. This perfect island is just perfect, all 375 acres of it. From landing on the grass runway which is located down the middle of the island you will be blown away. Swim from some of the best beaches, snorkel in a sea turtle sanctuary. Turn off your mobile phone and enjoy each others company on Denis Private Island. I’ve stayed here twice and loved it! This contemporary resort sits on two fantastic beaches on the main island of Mahè. This family friendly resort has everything you could want with an ideal opportunity to relax and unwind. With 5 incredible restaurants and bars to choose from offering a variety of cuisines or relax in the Spa Village. This resort is also ideal for destination weddings or honeymooners. This all villa resort is set on the unique island of Silhoutte where you can choose to arrive by boat or helicopter. 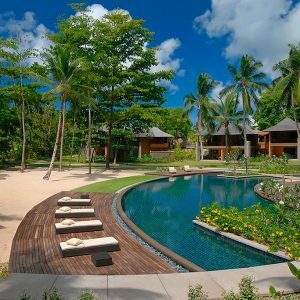 The villas are nestled between lush scenic mountains and stunning white beaches within a marine park. The resort offers a host of activities from tennis, sailing, diving and fishing as well as the Jungle Fun Kids Club making it an ideal choice for a family holiday or honeymoon of a lifetime.